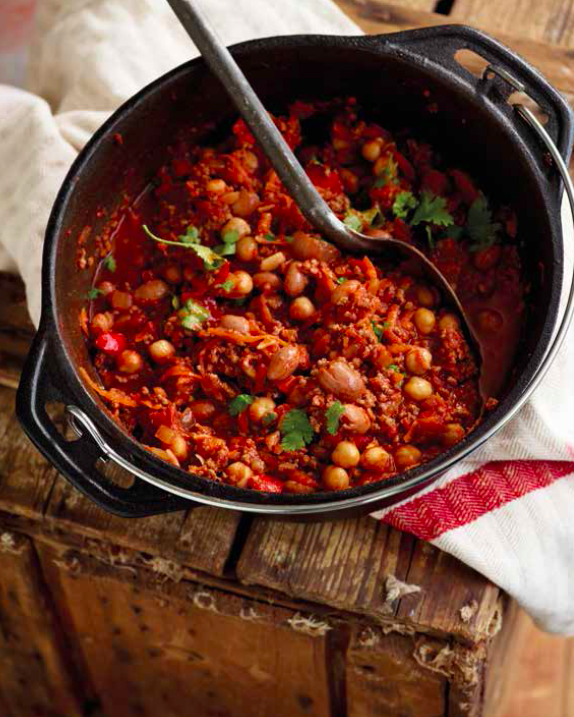 Start your weekend right with a chilli night with this chilli con carne recipe using a range of products sold at Approved Food. Add sunflower oil to a frying pan on medium heat and add the onion. Cook for 5 minutes or until soft, stirring occasionally. Next, add the mincemeat to a pan and break up the meat using a spoon. Cook till browned over. Pour over the Homepride sauce and add the chickpeas. While the sauce cooks, cook the green beans in salted water and the rice as described on the packet.